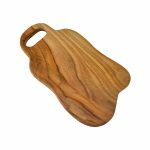 A beautiful large teak wood cutting board, handmade from sustainable Tectona Grandis plantation grown teak from Indonesia. 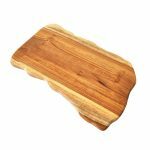 This rectangular cutting board has a hole for carrying and a beautiful natural live edge. 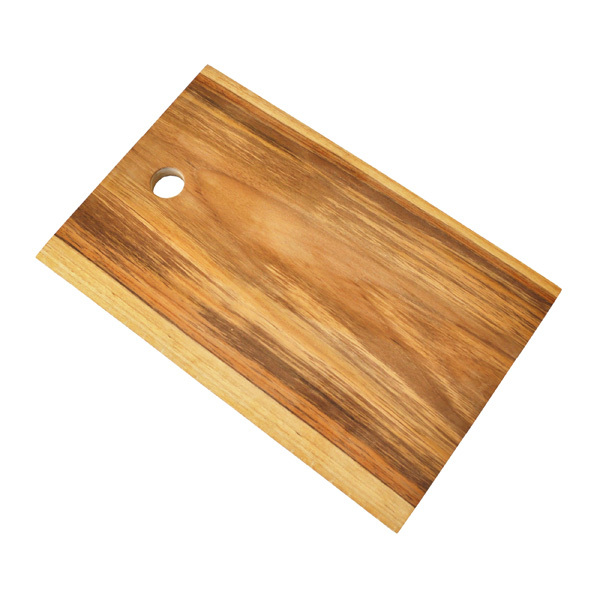 Patterned by the stunning natural grain of teak wood no two boards will ever be the same, each one is entirely unique. Naturally Med’s teak boards are very special as we only make from a SINGLE PIECE of teak wood. We won’t join or glue pieces together. This increases its durability and removes any risk of cross-contamination from unnatural sources. 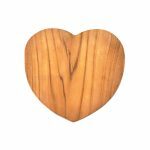 Teak wood is known for its varied coloring and striking grain definition. 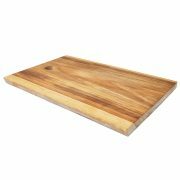 This teak live edge rectangle board can be used as a cutting board, serving board or cheese board. 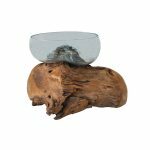 Hand wash only, and occasionally coat with mineral oil to protect and nourish the wood.